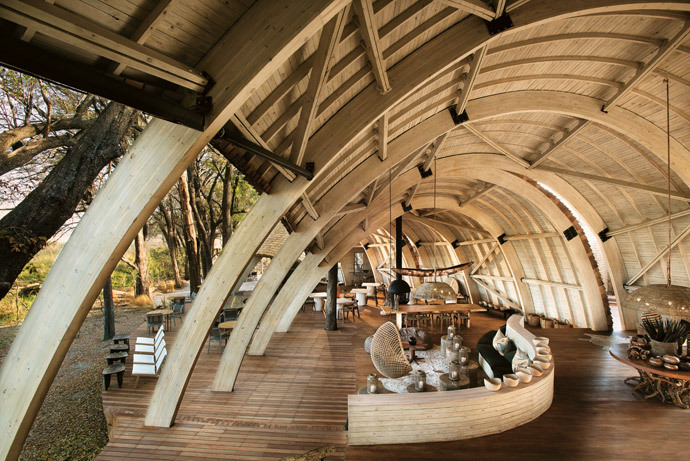 The &Beyond Sandibe Okavango Safari Lodge recently reopened its doors after having been completely rebuilt. The pangolin is a solitary creature. One of the most secretive mammals in the African bush, it sleeps during the day and emerges at night to extract insects from their nests with its long, sticky tongue. The animal’s cautious nature and its unique covering of overlapping scales have made it a rare delight to spot in the wild. 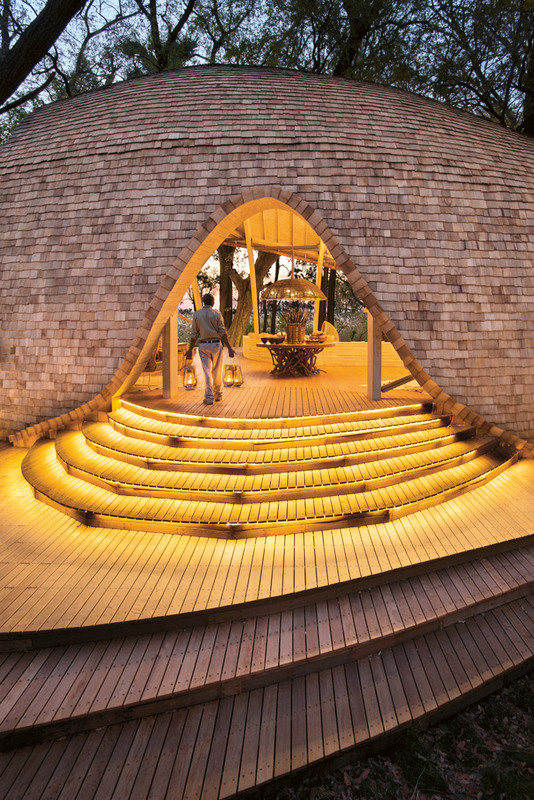 Visitors to the &Beyond Sandibe Okavango Safari Lodge must surely experience a similar frisson when they arrive at their destination: a reimagined gem in the shape of a giant pangolin that is set to become one of the iconic designs of the Okavango Delta. Sandibe is not a new lodge. 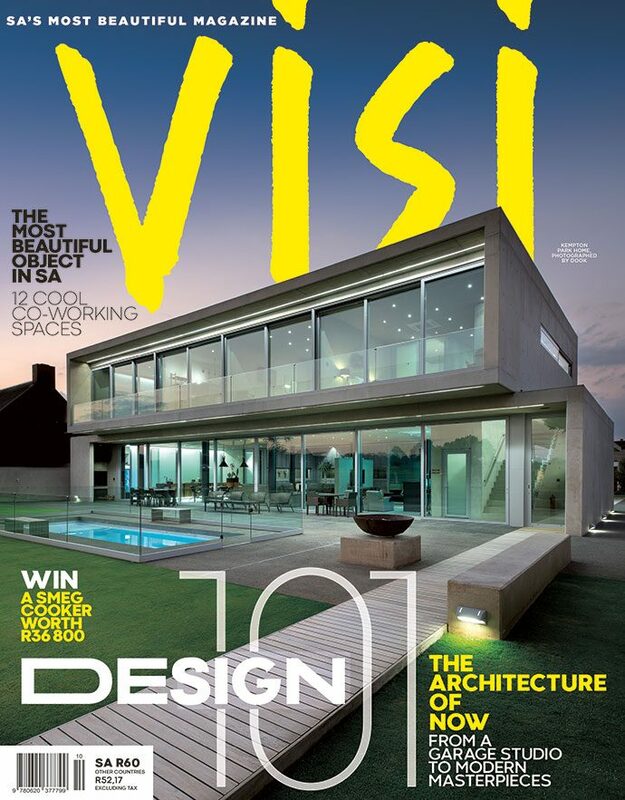 The original architect Nick Plewman was invited back to rework the site he’d designed 16 years before, and this time he was joined by UK architects Michaelis Boyd Associates as well as aesthetic direction and interior design specialists Fox Browne Creative. Chris Browne had also been involved before, furnishing the original lodge. 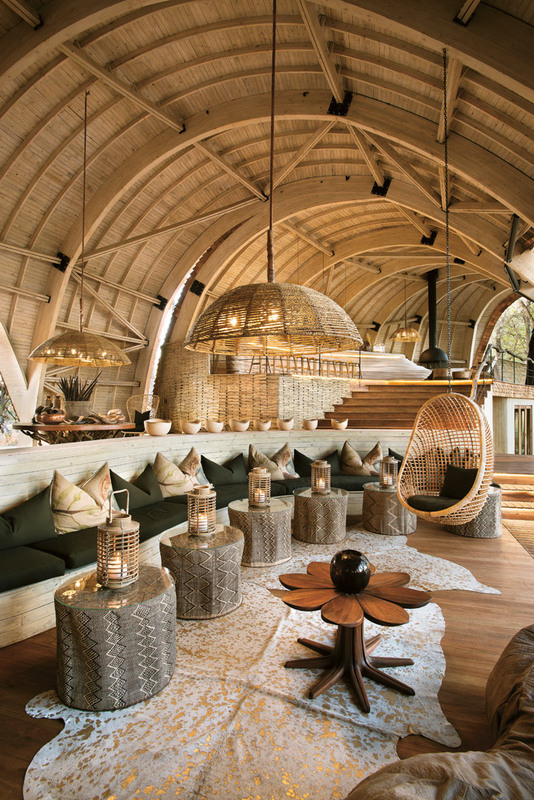 This dream team was perfectly positioned to update the &Beyond group’s flagship lodge. 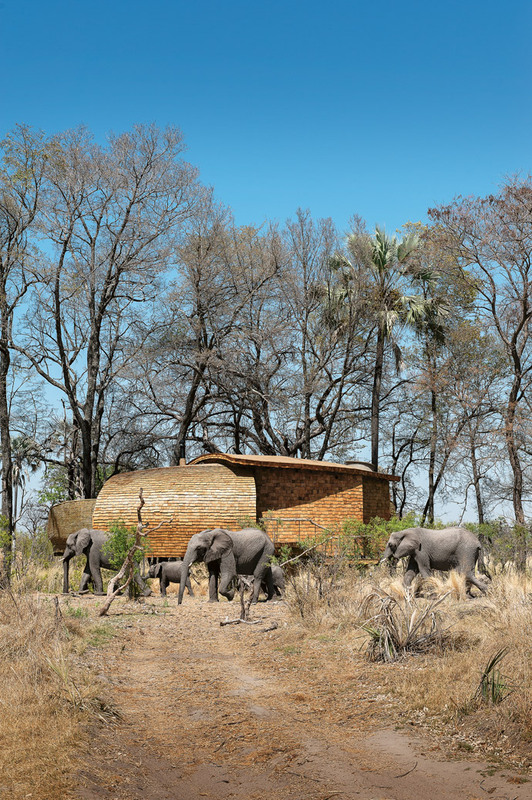 Situated in a private concession area in the Okavango Delta, Sandibe is adjacent to the wildlife-rich Moremi Game Reserve. 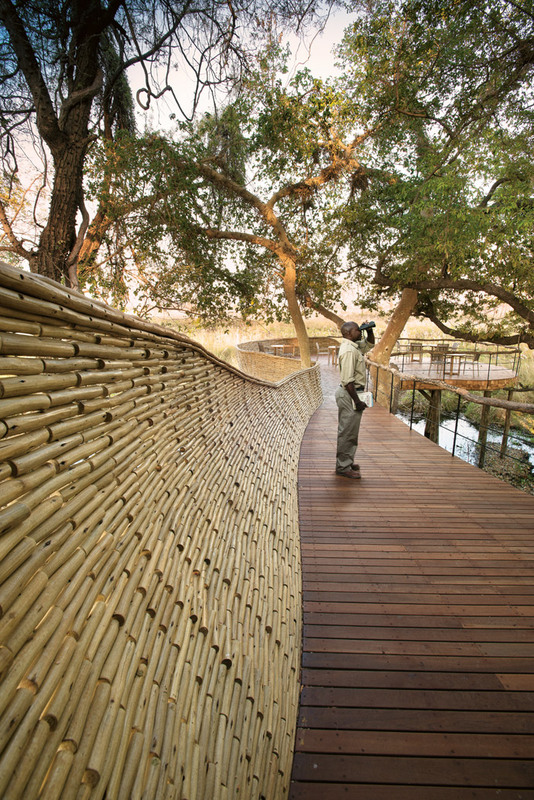 Guests are spoilt for choice with the best of swamp and dry-land game viewing on their doorstep. Nick says the team chose the pangolin as their design motif because of that creature’s elusive nature and its ability to curl into its own protective carapace. 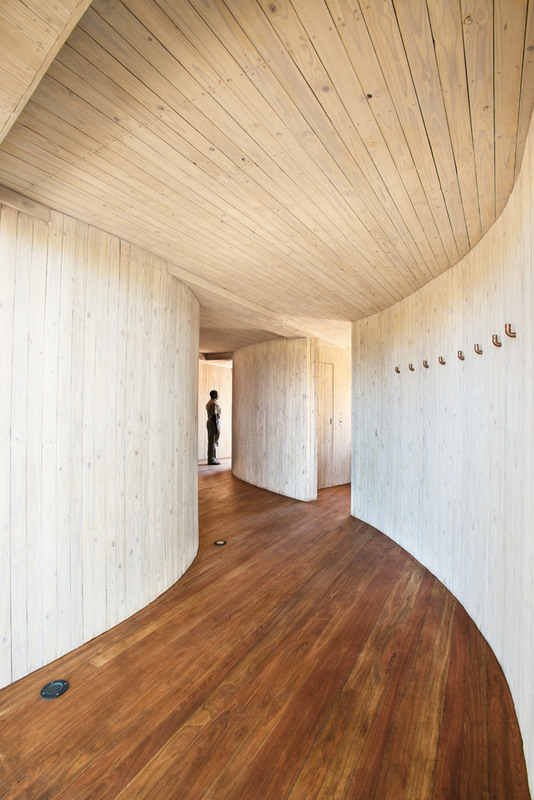 The overlapping scales are evident both in the form and construction of the main guest areas, with the building’s skeleton clad in a wooden skin of shingles and timber. The shingles were painstakingly set in place, which was by no means easy to execute. 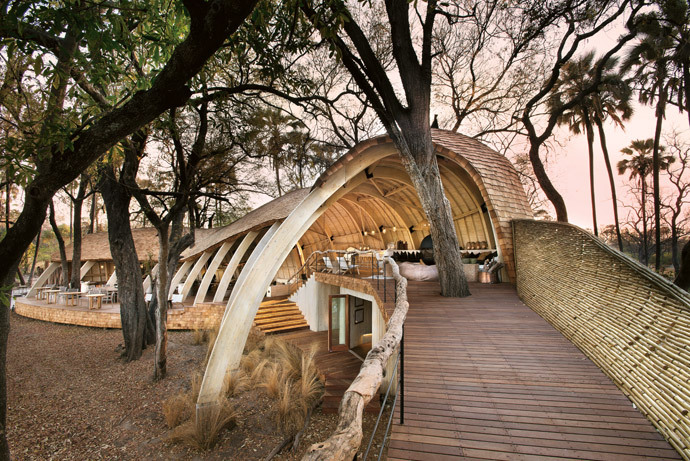 Sandibe was architect Alex Michaelis’s first foray into African design, and an ambitious one at that. He has high praise for the local contractors and for the manner in which the design came together despite numerous setbacks and challenges. 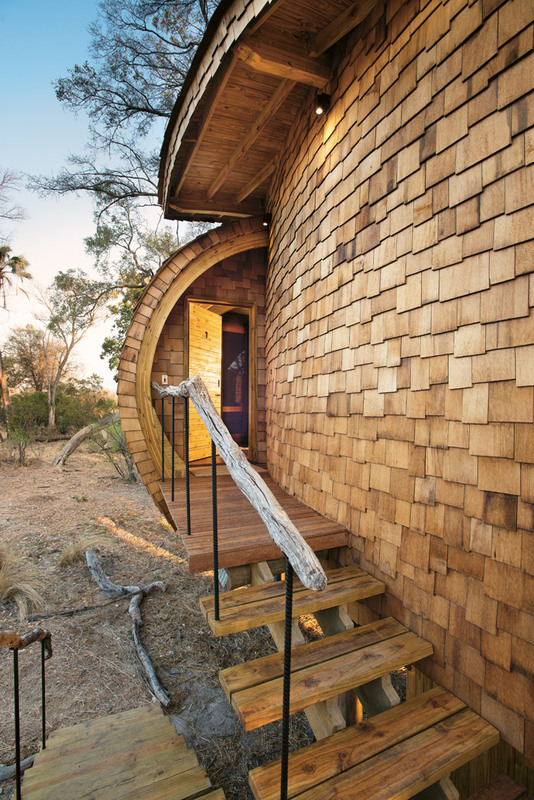 “This would have been a difficult project in London, never mind in the middle of Botswana,” he says. 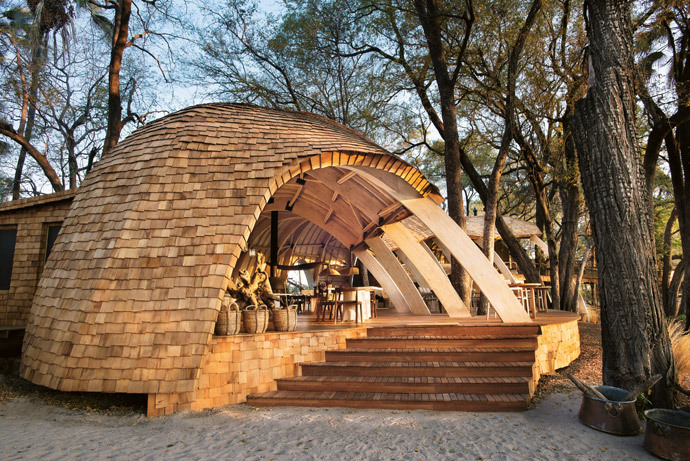 The team pays tribute to their contractor on the ground, Adriaan van der Merwe of Lodge Builders Botswana, who stayed beside the pangolin until it was completed, and engineers Garry Sheard and Case Bakker of De Villiers Sheard, who were instrumental in ensuring the structural integrity of the building. 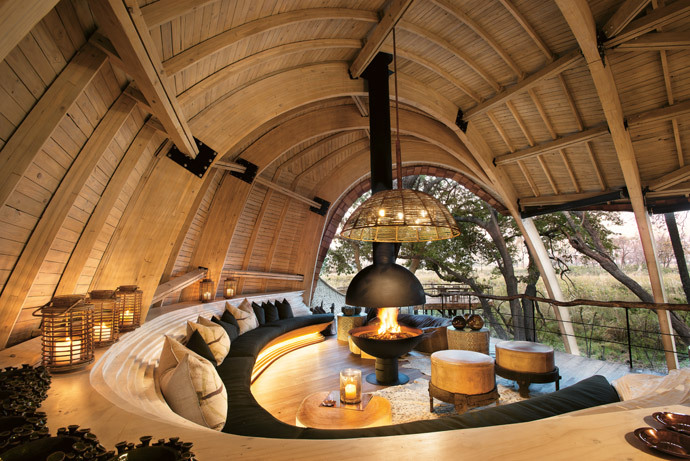 Alex believes one of the most inspired aspects of the design is the fact that all the guest suites have been elevated to allow for the best game viewing possible. And in line with regulations and the contemporary design movement, the new Sandibe has a much lighter footprint than the former one. A solar panel farm provides electricity, no cement was used, and every aspect has been designed and selected with sustainability in mind. 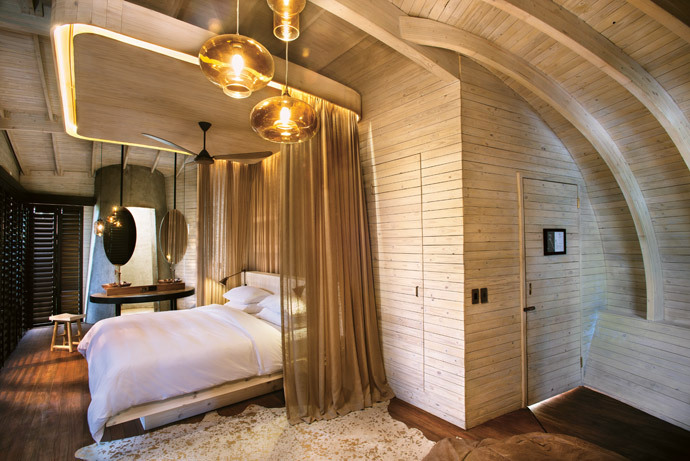 The hospitality also reflects the lodge’s understated luxury. 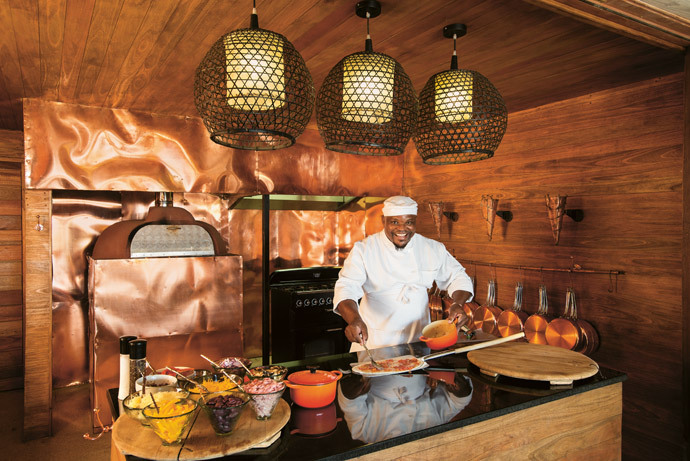 Fox Browne Creative has played an important role in identifying the tone and guest experience at the &Beyond lodges, with interior and culinary details at Sandibe carrying that subtle yet stylish Fox Browne touch. 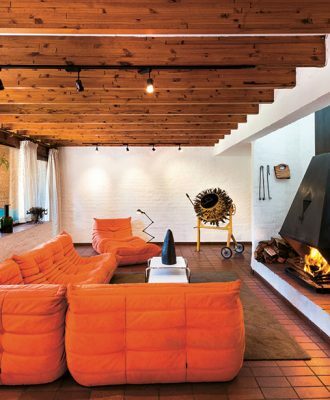 In the process of creating an iconic space that would feature in glossy design magazines, it must be tempting to get carried away and overdo the details. 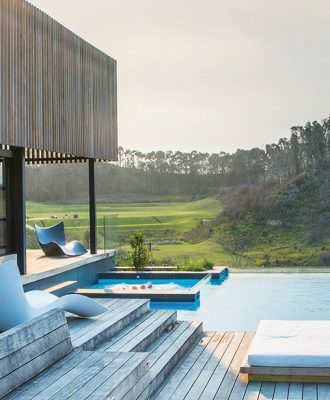 But the creative team knew when to stop and have left Sandibe with an uncluttered sense of luxury that is quite breath-taking. Copper finishes gleam in the glow cast by hidden strip lighting. 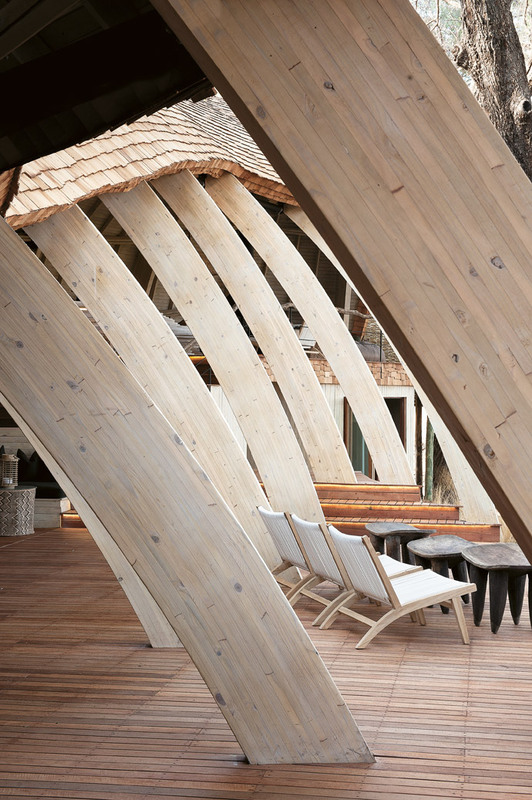 A handful of accent pieces such as the curving bar and the collapsed tree server render the space unforgettable. There are no over-the-top gimmicks, just one absolutely out-of-this-world design. Visit andbeyond.com for more information.